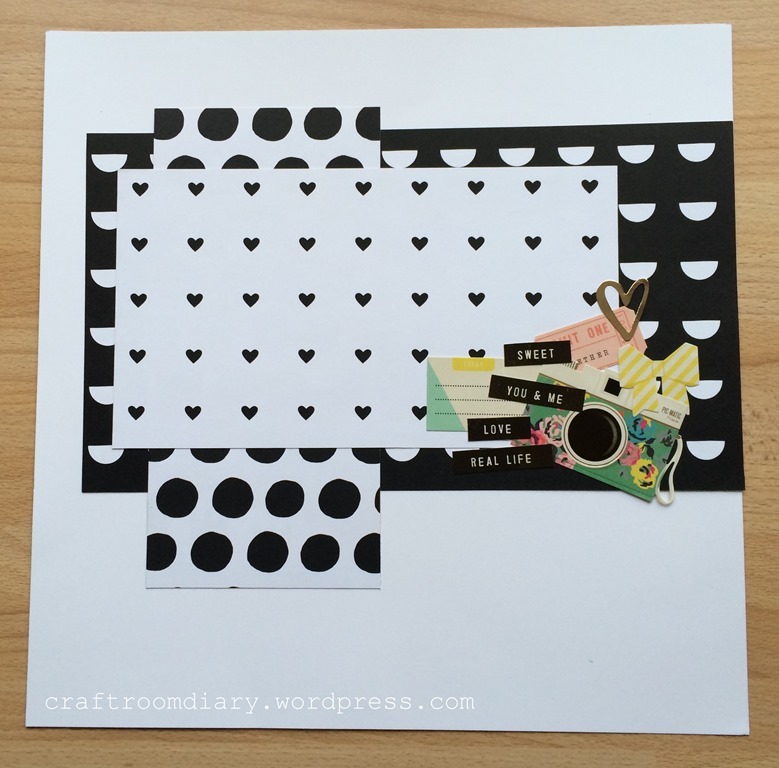 Today i am sharing with you a layout that i made from January’s Like Forever kit. I plan to snap a photo of me and my hubby sometime over his birthday weekend to add to this layout in black and white. I love black and white photos, i think most of our albums are in black and white!